Cosmetic dental work often has the reputation of being too expensive or vain. At Aspen Hill Dental, we understand chipped or stained teeth can make social interactions uncomfortable. We aim to give patients a smile they can have confidence in. With affordable options, we will work to solve your cosmetic dental needs. Our Wheat Ridge dentists will ensure your smile is beautiful and healthy. Having a smile that stands out is an investment in your happiness. Our team will discuss your options and find an affordable, effective solution for your teeth. We use porcelain veneer shells to transform the shape and length of a tooth in no time. Our process of applying the veneers is simple and comfortable, allowing your smile to look even more natural. You won’t have to worry about invasive treatments, as veneers are a quick, easy fix to cosmetic concerns. Their ultra-thin shells will put an end to your discolored and chipped teeth. With Dr. Stoll’s dental implants, you will feel like your teeth are healthy again. 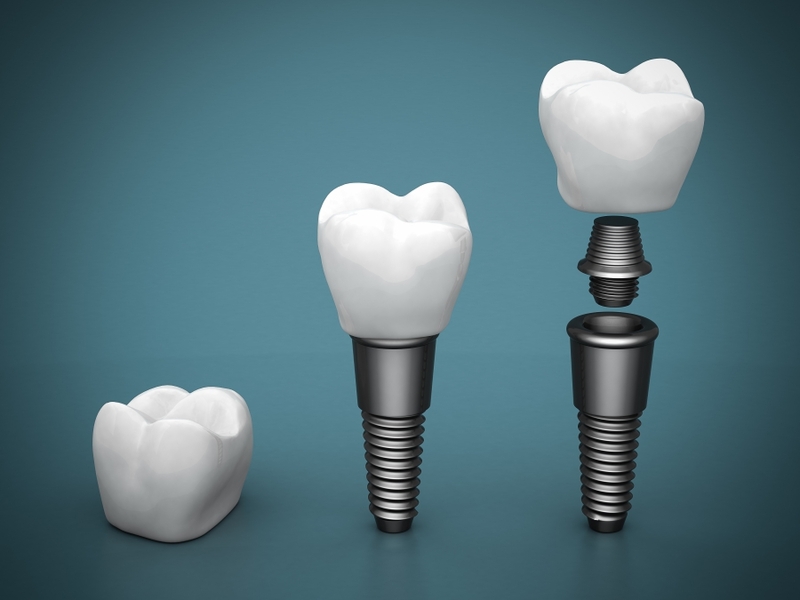 Dental implants allow for effective chewing and happy smiles. They are practically undetectable next to your natural teeth, with exact coloring. While implants are only available to patients with healthy oral tissues and intact jawbones, Dr. Stoll is prepared to find a solution to transform each patient’s smile. When you have too many fillings in your mouth, it can begin to damage the appearance of your smile. Our crown services help restore cracked or broken teeth with natural, comfortable treatment. The metal or porcelain cap is placed over the tooth in danger, providing immediate support and protection. You may also consider tooth-colored fillings, offering a drastic improvement to the aesthetic of your teeth. The traditional form of crowns and fillings leave patients with mouths full of silver and other metals. Dr. Stoll has options such as tooth-colored fillings to eliminate the unsightly blackened fillings or crowns. They are more durable and improve the look of your teeth. If you need a little more help with a cosmetic flaw, such as a chipped tooth, dental bonding may be your answer. Most patients are out of our office within an hour, boasting a healthier and brighter smile. This bonding material will be applied to any gap or chip you want to improve. After our dental care providers apply a thin layer of tooth-colored material, it will harden with a durable and solid finish. Bonding is also available for patients with old metal fillings, providing them with natural-colored restorations. No matter what factors led to your discolored or uneven smile, our team of experienced Wheat Ridge dentists knows how to help. Teeth whitening often improves confidence and makes patients feel younger. You will receive custom-fittings for individual whitening trays on the initial visit, enabling you to complete the rest of your treatment at home. The gel treatments are simple and easy to apply with your custom whitening tray. You can apply as much whitening as you want until you are satisfied with your smile. If you need cosmetic dentisty, don’t wait any longer! Contact Aspen Hill Dental—we have the solutions you need to brighten your smile. Complete the online form to receive a free consultation. You can also schedule an appointment. We look forward to serving you!